Naanum Rowdy Dhaan initially started off in smaller and medium sized screens across Chennai, when it released on October 21 along with 10 Endrathukulla and few other smaller films. But now, after the opening weekend and with the reviews and word of mouth favoring it, Naanum Rowdy Dhaan is gradually taking control of all the bigger screens across Chennai city. "We initially started with 2 shows each for the 2 new releases in our bigger screen, and soon it was 3 - 1 in favor of NRD. From yesterday, NRD has been given all the 4 shows in our main screen, Vettri. The first 5 days were close to full totally, with just a few tickets left unsold and a minor impact due to the India - South Africa cricket match on Sunday. Yesterday, the occupancy was close to 70%, which is a good thing for a film which had 5 full days. It is already a profitable film for us and will have a clean run till the Diwali releases arrive, as there are no worthy releases in the interim." The film has grossed around 9 crores in Tamil Nadu after the 5 day opening weekend, as reported yesterday. Kudos to Vignesh Shivan and team. 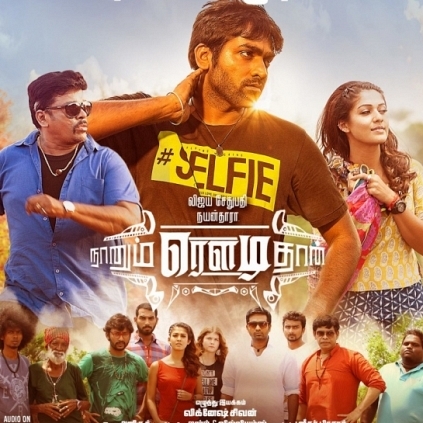 People looking for online information on Naanum Rowdy Dhaan, NRD, Vijay Sethupathi will find this news story useful.